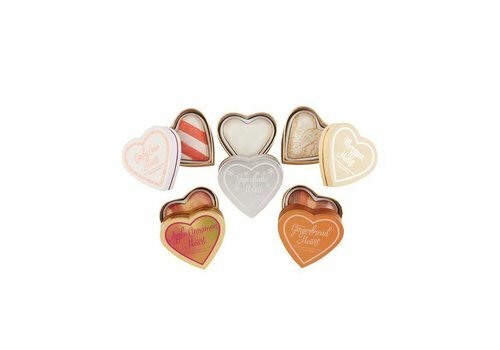 Buy I Heart Makeup Blushing Hearts online at Boozyshop, the makeup webshop! The bestseller of I Heart Makeup! Except that the outside looks nice and sweet, the powders are really beautiful! There is a choice between fried blushes, bronzers and highlighters! Baked guarantees a good pigmentation! When you open the boxes you immediately become happy with the beautiful colors! There is a choice of dark pink, light pink, peachy or brown colors. The blushes are soft in structure and do not crumble, that's because of the baked substance. All blushes have a beautiful and light shimmer. You can apply the colors separately or mixed with one of our blush brushes. These beautiful hearts are also baked and give a natural shine. In the bronzers there is a color after a source. You can also apply the colors separately or mixed with this bronzer. You can build the amount and the glow yourself with the bronzer & blush brush. At the highlighters you can choose between a cool champagne colored highlighter or warmer golden shades. But of course the famous rainbow highlighter can not be missed! 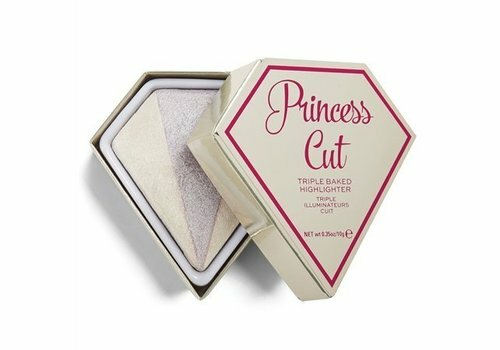 Because these highlighters are baked, the color and glow is well pigmented. The highlighters can be applied with one of our highlighter brushes.